Last edited by trancefan0883; Apr 25th, 2012 at 10:25. Yeahh, Many Thanks Dan ! Yeah, sure it will be awesome ! Karybde & Scylla will be there?? 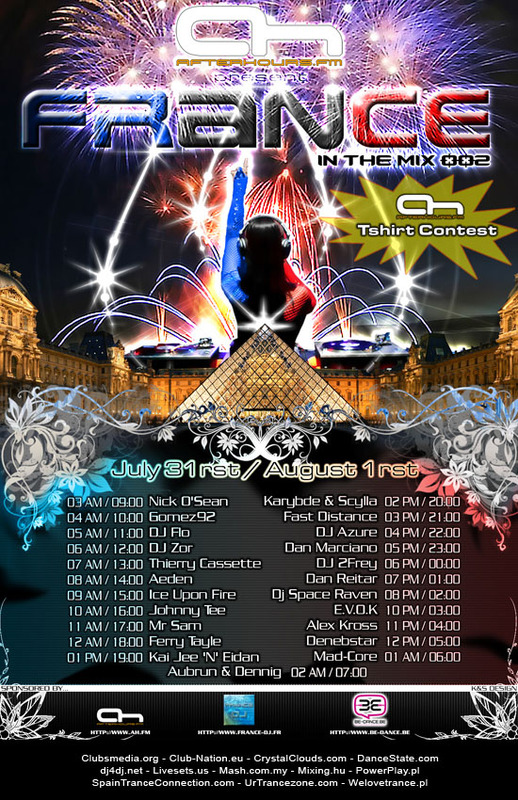 nice sets "PureTrancepleasure" very very nice guys... last night i was listenig Deja Vu 001 and it was just Amazing !!!! nice Job.... Love you guys ! hey france in the mix is back for the second edition with many of new dj & producers. Last edited by DJ 2FREY; Jul 28th, 2008 at 14:29. Yeah, is gonna be Massive !!! France In The Mix again !!! !